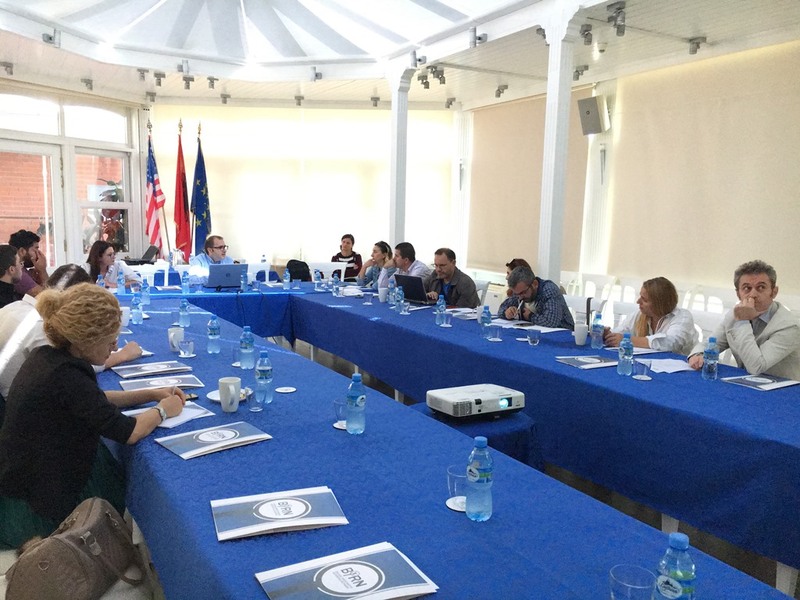 The Balkan Investigative Reporting Network, BIRN, in Albania held a workshop between civil society and journalists on the topic of organised crime on Tuesday. Around 17 journalists, experts and civil society representatives, from the fields of security and organised crime, gathered in Tirana on October 2 for a workshop organised by BIRN Albania to discuss topics and strategies that investigative reporters can use in order to better report on organised crime and its role in society. The event was part of a project called ‘Strengthening Media’s Role in the Fight Against Corruption,” financed by the Open Society Foundation in Albania. The project’s aim is to strengthen journalist’s reporting on corruption in the country through cooperation with civil society, in order to contribute to a more informed citizenry that is engaged in the democratic process. Dalina Jashari from the Institute of Democracy and Mediation facilitated the workshop, in which participants suggested a series of key topics centred on organised crime, including the nexus between it and politics, the poor record of the justice system in enforcing extradition of drug pins wanted in the EU and money laundering, among others. The goal of the workshop was to inform the upcoming call for investigative reporting grants on the topic of organised crime, which will be launched in the coming week by BIRN Albania. Through the call, three journalists will be selected by an independent jury and will be mentored by BIRN editors for a period of three months to produce hard-hitting investigative reports on the topic of organised crime.